Ian was born in the United States, he is 29 years old and he’s an engineer. He has been working for the American government for several years. After working in Virginia, he was transferred to the headquarters of his company in Sigonella, in the Catania area of Sicily in June. He is a Customer Service Manager and he handles the implementation of telephony tools and sophisticated security systems. He has an expatriate contract for a period of three years; but his contract can be extended after that. He works mainly in the Sigonella office, but every now and then he travels to the North of Italy, between Milan and Vicenza, to Germany, Great Britain, Greece, Djibouti and Bahrain; places where his main customers are based. Ninety percent of his team members are Americans. This is not his first time, either in Italy, or in Sicily. He was already sent to the province of Catania for a short international assignment for one month last winter, in fact, in order to carry out the selection process to build his team. However, his first experience in Italy, and particularly in Sicily, was not completely positive. If he had based his decision solely on his perception of that experience, he definitely would not have decided to accept the current expatriation contract. Indeed, during his first experience in Sicily, he stayed in a hotel about forty kilometres away from his office and he was alone. The Sigonella office is half-empty during winter time because most of the American employees return home to the United States from Thanksgiving Day until after the Christmas holidays. Therefore, November and December are months where it is difficult for a newcomer to socialize. This was also his first experience of living and working abroad; he didn’t receive any pre-departure preparation in order to manage his international assignment effectively. Furthermore, he didn’t know a word of Italian. The result was that after his working day and after he went to eat in a restaurant, he was alone in his hotel room. He had very few interactions and spent a month being depressed. Consequently, the overall assessment of his first experience in Sicily was not positive. Nevertheless, at the end of his first short international assignment, he travelled with a friend through the north of Italy by car. And his Italian tourist experience was decisively more positive. About a year later, he considered a long-term assignment contract for Europe with the possible destinations of Germany, or Italy in the Sigonella office again. Initially, he rejected the second option, and he went to Germany. But after a month in Germany, the company’s headquarter proposed him a transfer to Sicily; the Sigonella office needed a person for the position of Customer Service. He has been in Sicily for three months now. He hasn’t completely moved into his house yet. However, his company has included an Italian course in his relocation package, and he has started taking the class, both face-to-face and remotely. Furthermore, this time his company also included an Intercultural training day for expatriates as part of his relocation package to facilitate his integration process and to give him the possibility to better adapt and fit into the Italian social and business context. I met Ian in this context, as I have been his intercultural trainer and coach. Before meeting him face-to-face, I tried to get in touch with him in order to introduce myself, learn something about his training needs and his professional role. The first phone contact was quite hasty because he was always traveling and extra-busy. However, because of my insistence, he managed to fill in and send me back the training needs analysis’ questionnaire. We were able to schedule a training day in Catania, on one of the first Saturdays of September. We started the intercultural training program with an exercise aimed at talking about his previous international experiences, and reflecting on what happened, what his experience of diversity had been; checking what knowledge and attitudes he had needed, in order to encourage his process of developing intercultural competence, and to help him integrate more easily into cultural contexts different from his own. When Ian saw the graph of the “cultural adaptation curve”, which summarizes the psycho-social process of adapting in a different context, he gained insight into what he experienced on his previous international assignment. In addition, the cultural adaptation tool was useful for understanding what he could do in order to avoid being isolated and experiencing cultural shock once again. Thanks to the training needs analysis, I could also share with him information he considered useful, such as: how to deal with everyday life in Sicily, where and how to do shopping, how to behave among a group of friends, where and how to make friends, how to adapt to a relational style very different from what he was used to, and so on. In Sicily, in fact, people are very much relationship oriented, they use a lot of gestures and non-verbal communication. While, he, like most Americans, has a strong goals’ orientation, or a preference for tasks and activities, and he is not used to physical contacts, especially with strangers. 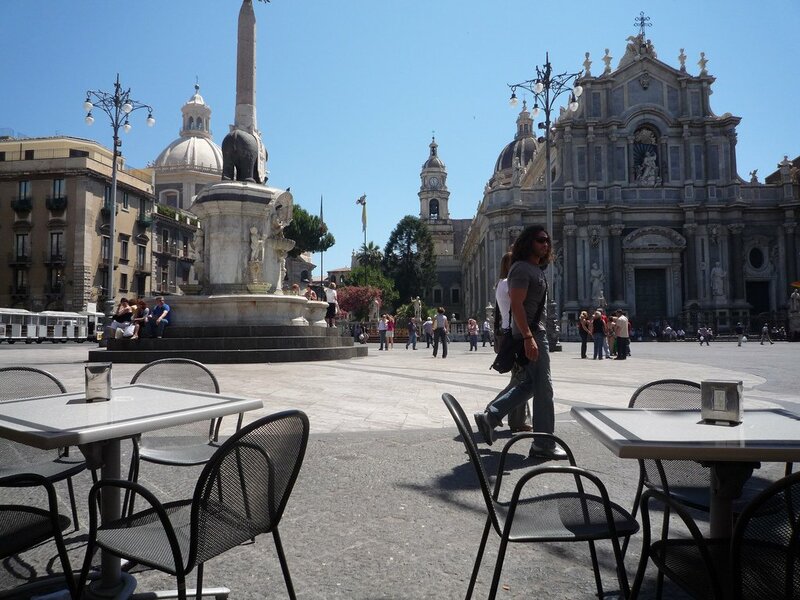 Ian will qualify his expatriate experience in Sicily as a success, firstly based on whether he succeeds in his professional role, as expected by his company; secondly, on whether he learns as much as possible about Italy and about Sicily, as well as about the business of his customers. But also if in three years, he manages to find a Sicilian girl to marry who is willing to go back to US with him. In terms of the Intercultural training day, Ian especially enjoyed the fact that he primarily raised his self-awareness about his own cultural values, and about the assumptions, he took for granted. Secondly, the intercultural training day enabled him to discover some deep elements of Italian culture, that by himself - especially with his current level of Italian – he would never have been able either to discover or to understand. He also learned some unwritten relational rules, that guide relations in Sicily, and that it is good to respect. In the end, he was more than happy with what he learned, and he felt more prepared to live and work in Sicily. Multinationals usually offer this type of program for expatriates within their HR global mobility management, whereas SMEs and NGOs are more reluctant. They consider pre-departure intercultural training programs a waste of time, and they prefer hands-on approach: they require that expatriate learn directly by working in the field; or they expect that another expatriate already present on site will transfer necessary knowledge and important information to the new expatriate. They do not care that many managers run projects around the world, but in fact without developing at all an intercultural mind-set. Indeed, in spite of international experience, many managers, remain closed to diversity, maintain their stereotypes and prejudices about people from certain cultures, and are unable to think differently, or act in ways that go beyond their own cultural styles. Pre-assignment intercultural training programs, or on-arrival training programs in the destination country (as in the case of Ian), offer to expatriate managers a unique opportunity to develop those intercultural skills that are nowadays increasingly useful to global people, who more and more live and work internationally in different countries. Thanks to our Milan's Genius Maura for sharing this great post!